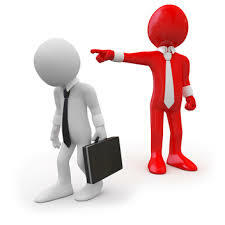 Once you’ve decided to terminate an employee, you need to be prepared to bear the bad news with dignity. Have you carefully thought about what to say? Will it be a surprise? If you terminate the employee based on poor performance, was the employee spoken to about their poor performance prior to the termination? Is your message honest and direct? Have you booked a private location to hold your conversation? Have you prepared the documentation? Are you comfortable with sharing the documentation? Are you prepared to deal with the issue with empathy as opposed to sympathy? Are you aware it’s best not to discuss other employees’ situations? Are you aware of what not to say? Do you have a contingency plan prepared in case of a bad physical reaction? Have you thought of an exit strategy for the employee? How will you help the employee transition to a new job? A new career? Will your actions result in a potential lawsuit? The manner in which employees are fired often fuel lawsuits. The way you prepare for the conversation and handle the employee are crucial in ensuring that you are dealing with this sensitive issue with dignity. « Why Is Team-Building Considered A Utopia?